“The Nine Dragons Drained Dry, the East Sea in Turmoil” is described as a novel. However, while reading it, one comes to the realization that it actually deals with the issues of a deteriorating environment that endangers the survival of a beloved river and its nefarious impacts on a great number of people, on generations to come, and on many nations – at the least seven – in Southeast Asia. Ngô Thế Vinh writes about the building of dams wreaking havoc on the Mekong and their implications. 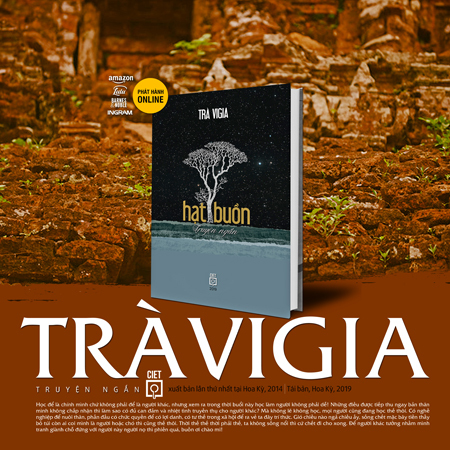 Ngô Thế Vinh’s book is a muffled cry sounding the alarm about a disaster that is about to befall not only Vietnam, our homeland, but the entire region. Nguyễn Đình Toàn, Author of Con Đường. Readers who grew up in Vietnam after 1975 may only know author Ngô Thế Vinh through the interview he gave to Tuổi Trẻ newspaper (August 30, 2009) on the threats to the Mekong River posed by China’s upstream dams. However, he is well-known overseas for his monumental works in 2000, in which he exposed the long-term adverse effects of the Chinese dams on the livelihoods of millions of people dependent on the river. If an intellectual is defined as someone who is ahead of his time with long-term vision, then Ngô Thế Vinh’s 646-page book, “The Nine Dragons Drained Dry, the East Sea in Turmoil”, amply qualifies him as a true intellectual. Professor Nguyễn Văn Tuấn, Garvan Institute of Medical Research and UNSW Australia. The Mekong, this life-giving waterway, is and will continue to be inextricably intertwined with the future or destiny of the countries in Southeast Asia of which Vietnam lies at the southernmost end. This river courses through seven countries including Tibet over a distance of 4,800 kilometers – almost half of it within China’s borders. Long gone is the day the Mekong still retained its primeval wilderness state. This majestic river has existed from time immemorial before Western explorers came and christened it “The Mekong”. Because it runs through regions inhabited by peoples speaking different languages, the river is known under various names. To the Tibetans it is “Dza Chu” (the water flowing from the stones). In China, it becomes “Lancang Jiang” (the turbulent river). Upon entering Laos and Thailand it is called “Mae Nam Khong” (the mother of streams) then “Tonle Thom” (the great river) in Cambodia. In Vietnam, its final stop, the river divides into nine estuaries resembling nine dragons before diving into the East Sea. For that reason, the Vietnamese give it the colorful name “Sông Cửu Long” (the river of nine-dragons). The name “Mekong” was adopted for cartographic purposes by the Western diplomatic circles of the day – mainly British and French – probably based on the Portuguese pronunciation of the name given to the river by the Thai which bears the romantic meaning “the mother of streams”. Since the first century of our era, a civilization known as Óc Eo had flourished in the Mekong Delta. Going into the 12th century, a mighty fleet from the kingdom of Champa sailed along the Mekong and ransacked Angkor, the capital city of the Khmer. In the following century, Marco Polo crossed the Mekong in Yunnan as he bid farewell to China. About that same time, Chou Ta-Kuan, a Chinese marine traveler, entered the Mekong from the East Sea and sailed upstream to reach the Tonle Sap Lake. He landed in Angkor and wrote an engaging long diary about his trip. The French naturalist and explorer Henri Mouhot came to this river and “rediscovered” the famed temple complex of Angkor. Although the French succeeded in establishing their colonial rule in the South of Vietnam, the colonists soon became disenchanted with the limited commercial potentials of their new colony. As a result, they began to turn their eye to the Mekong. There were heated debates concerning the implementation of the “great idea” whose proponent was none other than Francis Garnier, the 25 year-old Mayor of Cholon. Indefatigably passionate for adventure and discovery of “unknown lands”, Garnier was also a staunch believer that “Nations, like France, without colonies are dead”. This line of reasoning led to the launching of an expedition of six men considered the best and the brightest representatives of French youth in the 19th century known as an era of forbearance and stoicism. Full of optimism, they departed from Saigon for the capital city of Phnom Penh in the first leg of their trip. However, their journey dragged on into its second year (1866-1868) on account of the unpredictable obstacles and difficulties they met on their track. This heroic but tragic endeavor ended with the death of the group’s leader when he set foot in Yunnan. Though the explorers were unable to reach the source of the river, they had seen enough to conclude that this waterway could not serve as a trade route to China. Three decades later, another group of French explorers led by Dutreuil de Rhins and his companion J-F Grenard left Paris en route first to Russia then China. They traveled on the ancient Silk Road to arrive at the Tibetan high plateau. Of the French explorers, they were the ones who came nearest to the source of the Mekong. However, Dutreuil de Rhins met an untimely death when he was shot by the villagers of Khamba. As for Grenard, he made it back to Paris to announce that he had found the Mekong’s source without being able to provide any evidence to substantiate his claim. Things stayed fairly unchanged until the 1950’s as the source of the Mekong still remained shrouded in an enigma waiting to be unwrapped. Forgotten for a time, this river again came under the spotlight during the tumultuous years of the Vietnam War. At the height of the War (1968), the farthest the reporters Peter T. White and W. E. Garrett of the National Geographic Magazine could reach from the Golden Triangle was the lower section of the Mekong. The Beijing Government which was in full control of the upper Mekong at that time imposed a strict ban on newsmen to travel to this area. From their location, our two explorers sailed downstream to Thailand, Laos, Cambodia then all the way to the Mekong Delta in Vietnam. It was not until after the Vietnam War, more precisely in the post Cold War, that the two correspondents Thomas O’Neill and Michael S. Yamashita were able to complete a quasi trans-Mekong trip (1992) from its Tibetan head source down to Yunnan then southward to Myanmar, Laos, Thailand, Cambodia to reach their final destination in Vietnam. It was also the first time that the Tibetan nomads led them to Zadoi at an elevation of 4,600 meters, the furthermost reaches of the Mekong. “We rode behind the mountain and found in a shallow draw a sheet of ice some 300 yards long – shaped like an hourglass. Crouching down on the frozen surface, I could hear below a trickle of water. It was the beginning notes of the Mekong. Mike and I were, as far as I can discover, the first Western journalists to hear them.” [National Geographic, Vol. 183, No.2, Feb. 1993]. Unfortunately, no verification of the coordinates and name of the mountain could be established on the map and the claim put forth by those two men to have located the source of the Mekong turned out eventually to be a myth. Discovering its source also means – sadly enough – having to witness the heart wrenching gradual degradation of that historic river unfold before our very eyes. With the passage of time, this river runs the risk of turning into the last river as well. This book deals with what could turn out to be the final remaining days of the Mekong with the fervent hope that the D+ Day of this river of destiny will only take place in a very distant future, at least not during this third millennium. This book is not a research work in the traditional sense of the word. More precisely, it takes the form of a novel consisting of 23 chapters that are not linked together by a single plot with complex turns of events. Instead, it includes different settings so that the chapters could be read as separate short stories with the Mekong, the common theme, acting like a crimson thread running through each of them. Nevertheless, this book should not be looked at simply as a “fiction”, a product of pure imagination. It is rather a mixture of “facts and fiction”, a “faction”, with a small number of protagonists interacting with each other in imagined circumstances. Together, they introduced the readers to the lands the majestic Mekong meanders through. This is a river of time which reflects the dawn and twilight of civilizations drenched in the blood and tears of wars through the ages – a big river rich in history and extremely diverse in geography and human cultures. It is not through the bird’s eye but through the lenses of a satellite that we become dazzled and overwhelmed by the tragic vicissitudes the Mekong has to endure – much of it caused by humans. The author truly hopes that this book can convey to the readers a general as well as updated picture of the Mekong and draw their attention to the dreadful fate awaiting this river which ranks 11th in the world. The bibliography will help refer interested readers to our research materials. Hopefully, in the not too distant future, knowledge about the Mekong will grow thanks to the research works by young Vietnamese scholars in Vietnam as well as overseas. That this book, in a small way, may contribute some thoughts and ideas for their works is what we aspire for. The non-fiction, “Cửu Long Cạn Dòng – Biển Đông Dậy Sóng”, was first published by Văn Nghệ in 2000 to be followed by a second edition in the succeeding year. Another work, this time a reportage titled “Mekong -The Occluding River”, went into print with Văn Nghệ Mới in March, 2007. 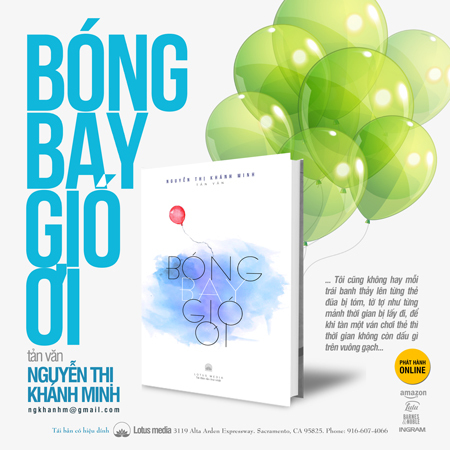 Its second edition saw the day nine months later along with an audio book which was presented by Ánh Nguyệt’s authentic southern accent to the accompaniment of background music by Đoàn Văn Nghệ Dân Tộc Lạc Hồng. The harmony was arranged by Tuấn Thảo. The third edition (2008) of “Cửu Long Cạn Dòng – Biển Đông Dậy Sóng” is in the ebook format. It is supplemented with numerous new photographs and updated information. Though this book was first written in 2000, it still retains its original relevancy to today’s world. China continues to build mammoth hydroelectric dams in the Mekong Cascades in the earthquake-prone zone of Yunnan. Taking into account the widespread devastations caused by past powerful earthquakes in the Sichuan and Yunnan provinces, one cannot dismiss the threat that a disastrous great flood triggered by a collapsing dam would spell disaster on the countries downstream. What’s more, China recently introduced another audacious project named “Navigation Channel Improvement Project on the Upper Mekong River” calling for the use of dynamites to blast rock formations in sections of the Mekong River running from Yunnan to Laos where rapids and islets were found. Backhoe boats will be used to fill deep cavities in the riverbed with pulverized rocks in order to render the riverbed wider and deeper permitting the use of cargo ships with 500 to 700 ton displacements to transport Chinese made surplus goods from the river port of Simao, Yunnan to the Thai cities of Chiang Khong and Chiang Sean then further south to Luang Prabang and the capital city of Vientiane in Laos. On their return trip, those ships will bring back minerals and raw materials to satisfy China’s industrial development needs that were growing by leaps and bounds. Right from day one of the project, numerous species of fish were wiped out causing grave imbalances to the region’s hydrology. The current also courses faster and more turbulently causing the caving of the riverbanks and the destruction of crops planted along the river. Consequently, immediate and detrimental effects are brought to bear on the natural habitat and the livelihood of the inhabitants downstream. Then, just two days prior to the New Year of 2007, another earthshaking event stunned the environmentalists. On December 29, 2006, the China News Agency announced that for the first time the Beijing government had successfully completed via the Mekong two shipments totaling 300 tons of oil from the port of Chiang Rai in northern Thailand to the port city of Jinghong in Yunnan Province. Presently, the series of gigantic hydroelectric dams known as the Mekong Cascades in the province of Yunnan is creating havoc in the lives of the sixty million people who reside in the Lower Mekong Basin. To add insult to injury, the fact that the Mekong is being used as a strategic waterway to transport crude oil from the Middle East to feed the industrial zones of Southwestern China bypassing the straits of Malacca is viewed as another fatal blow to this river’s very existence. Then, just a while back on 12/03/2007, the East Sea was again threatened with disturbance when the People’s Republic of China State Council announced the establishment of the Shansa District. This district encompasses Vietnam’s Paracel and Spratly Archipelagoes. With this act, Beijing has practically asserted its dominance over the region by virtue of the age-old adage that might makes right. The Director of the Institute of Maritime Research of Malaysia, Mr. B.A. Hamzak, has coined this very descriptive term: “the Tibetization of the East Sea” to describe this new development. It is widely used by the press and diplomatic corps to depict the prospect for the countries of Southeast Asia to wake up, an early morning, and face the fait-accompli that the East Sea has fallen under Chinese control – just like Tibet did in the 1950’s. With an overall view of past intra-regional relationships, we can ascertain that the “threat – like a historical obsession – emanating from the unrelenting expansion of big countries like China” invariably leads to territorial disputes be it over a river (in this case the Mekong) or the East Sea and its multitude of islands or international land boundaries. This view continues to be the unchanging theme in this book. As she crosses the threshold of the 21st century, the dilemma facing Vietnam is not any internal conflicts among her people but in effect it is with China itself. A few additional personal thoughts for this new edition: on my return visit to the Mekong Delta in September of 2006, I had the pleasure to visit with Sơn Nam, the author. Though he had undergone surgical therapy, he still had difficulties moving around. His overall physical health might not be as good as before but his mind still stayed extremely sharp. It was the first time for us to meet. Nevertheless, I had the feeling we had known each other for a long time already because I had read most of the works on “Miền Tây”, the Western region of South Vietnam, written by this “old Vietnamese man living among Khmer neighbors” as his pen name Sơn Nam implies. On that visit, I brought with me a gift to Sơn Nam: a DVD copy of the film “Mùa Len Trâu – the Buffalo Boy” by director Nguyễn Võ Nghiêm Minh. The film was inspired by a short story in Sơn Nam’s book “Hương Rừng Cà Mau/ The Flagrance of the Forest of Cà Mau”. My friendly gesture made my host happy and he confided in me that he had read “Cửu Long Cạn Dòng – Biển Đông Dậy Sóng” more than once. A copy of the second edition of the book published by Văn Nghệ with a rather worn out cover that he held in his hand bore witness to his words. He also repeated a couple of times the suggestion that the book should be published in Vietnam and invited me to stay at his home for several days to allow us to go over its content. Regrettably, I did not have the chance to take him up on this offer because, soon afterward, he passed away on August 13, 2008 at the age of 82. The bird of the land named “đỗ quyên” had flapped its wing to soar up high in the sky carrying on its wings Sơn Nam, the people’s writer. Thus, the curtain has dropped for good on the stage where that folksy old man used to take his leisurely time to narrate the ancient tales about the pioneering days of his beloved South. Certainly, there still remain tales left to be written but future generations will sorely miss the joy to learn about them from that dear special author. 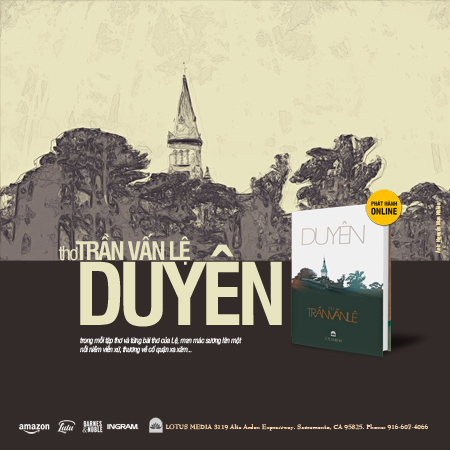 Probably more than anybody else, uncle Sơn Nam and the author understand full well that there is a dim chance for the book to be approved for publication in Vietnam in view of my unwillingness – as a matter of principle, to submit “Cửu Long Cạn Dòng – Biển Đông Dậy Sóng” to censorship. On top of that, the book’s subject matter deals with sensitive issues pertaining to China. Therefore, the odds do not look any better when one considers the current unsettling political climate and the absence of freedom of speech in Vietnam. 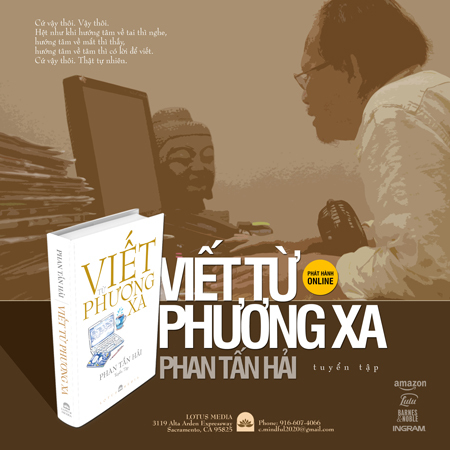 From a foreign land, this author would like to dedicate these notes in the English version of the book in memory of uncle Sơn Nam for his works on the “Văn Minh Miệt Vườn” or Civilization of Orchard. In spite of its recent birth, this young Civilization is approaching a point of no return as it is heading toward potential extinction.